Home	/ Musings / Freedom…from what? 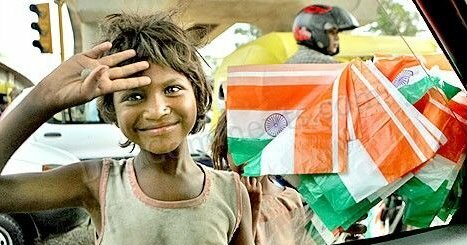 As I look around, I am still hoping that we will be able to ‘redeem this pledge’ and find a solution for the misery and suffering of our millions of fellow Indians. Development for them has been reduced to accessing the hundreds of schemes that our successive Governments have been creating for the masses. Schemes, which have helped some segments of our populace to merely cope with poverty and not get out of it. It certainly has helped create an elite set of politicians, bureaucrats and contractors to fine tune the art and science of corruption and grow disgustingly wealthy, exploiting a system which still does not understand either transparency or accountability. I still fail to understand why after spending millions of rupees over the past 63 years on all kinds of ‘development interventions’, our HDI ranking is 0.609. We stand 132nd in a list of 179 countries. Why our life expectancy at birth is still 64 years? It seems strange that we keep announcing newer and newer schemes for promoting literacy and education, but our adult literacy is still 65% and school enrollment rate is 61%. Despite spending crores of borrowed rupees on schemes like the Sarva Shikshana Abhiyan, we are still left with 7th standard children unable to read 3rd standard textbooks. We seem to be spending endless days on debating whether or not the Food Security Bill should become an Act – all because of the dispute of the number of poor people in India (is it 36% or 42%?). Does this difference really matter? Should it not worry every Indian that we still have 35% of us earning less than $1/day and 80% less than $2/day? What does Freedom mean to the 645 million Indians estimated to be poor as per the latest report of Oxford University based on the new indicators developed by them? What does the Commonwealth Games, costing nearly 100,000 crores (as mentioned by one of our honorable MPs on the floor of the Parliament), mean to these Indians? Can we cheer our athletes and teams with our stomachs empty? What should true freedom mean? I have always maintained that ‘Development’ is a constant expansion of human capabilities and includes expansion in all sectors that touch human lives – health, education, infrastructure, etc. Any society that is to be called developed or developing should constantly strive to provide its citizenry, securities on all fronts – health security, nutrition and food security, religious security, social and economic security, and political security. It should necessarily mean that the State is a facilitator, ensuring that all its citizens have the means, access and the ability to participate freely in and secure these fundamental securities. Poverty cannot merely be living on less than a dollar a day or less than $ 2 a day. Neither can it be the ability to secure more than 1800 Kcal worth of food per day. Poverty is the denial of opportunity – opportunities that will help ensure ‘security’ to our fellow citizens. With this background of development and poverty, freedom to me means creation of opportunities on all fronts. Only when society and the State at large strive to create them, will freedom mean anything at all. Only then will the Independence Day celebrations have any significance, beyond the ritual that we have reduced it to. Previous Article Ushering in change – the Ningamani way!